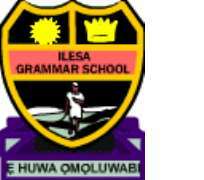 Ilesa Grammar School: The Labour Of Our Heroes Past. The name of this heritage school remained emblazoned on the lath across the gates. With a white background, the dark coloured letters beamed a great smile at passersby, as if to remind them, "I'm still here." The school logo perched in the middle of the letters, seemed intent on taking advantage of the warmth provided by their closeness. From the beautiful letters announcing the great names of this institution on this lath, it was difficult for anyone to fathom the degree of agonies burning within its confines. This entrance was, misleadingly, lively and a hive of activities still. Activities devoid of students within its premises. At this gate, there was a congregation of adults. Some of them, staff of the abandoned campus. Others, just out there to kind of "socialise." Others were there to enquire about the rates to rent the school hall for social activities. Yet others, were there to bear witness to the tragedy inflicted on that heritage by the Government of Governor Rauf Aregbesola. The students of Ilesa Government High School, built on the grounds of Ilesa Grammar School, passed across the frontage. Some, taking a minute or less, to glance at the gates, without one being able to fathom their thoughts. Some, not paying any attention whatsoever, enmeshed in the nitty-gritty of their daily challenges, just passed by in twos, threes and fours, tattling and rattling. Some of them, probably thinking on how to write the next love letter to their sweethearts, or how to encounter a mathematics, physics or chemistry home assignment. Passing the gate after the permission of the guard, "Old Soldier," as he was popularly called, one encountered the ugliness of a beautiful past. It was easy to see, figuratively, the burning tears of our forefathers, cascading down their cheeks. It was easy to feel their anger at this generation, wondering how we could let this happen. It was not difficult to wonder why and how we could allow the labour of our heroes past be so destructively mutilated and mangled. Littering the campus are buildings wasting away. It was like a congregation of disillusioned and disoriented oldies. There was the old Principal's office. There was the staff room. Both of them, showing signs of age, made more pronounced by lack of use, crying for help. There was the school clinic, or health center as it were; new, glittering, but unused. It was like a dizzied damsel self dazzled by its own beauty and youthfulness, curiously amazed that no one found her worthy to be engaged, not to speak of being married.. There was the legacy building, with its 18' thick walls. In its decking, the 2' x 2' wire mesh of its concrete, coyly cringes at being exposed. Strong. Solid. Sturdy. Like a rhinoceros, it stood there, imposingly, audaciously and intimidatingly. Windowless and doorless. Its colour, already dissipated with an air of a gorgeous ugliness, dawdled in its dwindling. Upstairs, half of the roofs were leaking, creating concrete based oasis in the deserted classrooms. The ceilings, rampaging in their dissatisfaction, were ebullient in their battered brownish discolouration. With its exuded strength and solidity, the Legacy building, seemed determined to remain standing for the next five hundred years, without batting an eyelid. There was the abandoned toilets. Rickety, rachitic, ramshackle and rattletrap. It has become feeble, fragile and frail. It would not even entice rats or reptiles for safety reasons. The fence beside the toilets demarcating the school property had become invincible. It was wide open for any mischievous gangs to come and go as they might wish, to perpetrate any intent of theirs, without let or hindrance. There were the physics, chemistry and biology laboratories, still in good physical conditions, but abandoned. The buildings, like beautiful sixty year old women, divorced from their hubbies, wondered in their abandonment, why they had not, even temporary suitors. Endowed with the grace of great physiques, radiant in their loneliness, the pangs of their children being away, having attained adulthood and dispersed into the wild wide word to pave their own paths, had left them bewildered. All their equipment and chemicals had been "looted" to the new Ilesa Government High School on the instruction of the same Governor. There was the impressive Rev. Lahanmi Memorial Library, its light green colour still glowing. Not looking decrepit, but it was pouting like a child seeking attention of his distracted parents. Its immediate environment was a little bit overgrown with grass. Plaques listing some of its eminent alumni graced its entrance in black and gold colours. Like the Great Sphinx of Giza, with its human head and a body of a lion, the Library sat there in isolation, withering with an obvious graduality, under the oxidizing weather. There were still sets of classroom blocks, looking structurally strong. Among them was the Lateef Kayode Jakande building built by the 2005 set. The Sunny Okogwu building was reportedly pulled down also on the orders of the same Governor Aregbesola. The soccer field had a menacing wall lying across its bossom like a giant cobra, waiting for her to be dared. That Ilesa Grammar School's soccer field, was the first official stadium of the Ijesha people. It was the scene of many heroics. It was the cooking pot of many inebriating skills and raw talents. It was a place where many became heroes and few others became villains. Memories and memories and memories were made on that field destroyed by Rauf Aregbesola. Flat as a dining table properly positioned, no bends, no slants, no holes, no contours, no rough patches. In fact, the pre - Socratic scientists who held that the world was flat must have had this soccer field in mind before Pythagoras and Aristotle came to debunk their theories. The Alumni Association's block remains in good use. The School Hall was still in good standing and it remained a limited source of revenue generation. Some of its windows have been vandalised. Some of the electrical wiring have been manacled, but recently repaired. The three giant electric generators were still functional, according to "Old Soldier," but were getting more difficult to maintain due to finances. Ilesa Grammar School, Ilesa. Nigeria. The name means a lot to a lot of people from different hu et cri. From the traditional rulers in Ìjèsà kingdom to its elites; from the rich to the poor; from the Òsómàáló traders to the professionals; from artisans, market women, transporters to the farmers and several others. The school meant and still means a lot. The name carried and still carries a lot of memories. The institution edifies the courage of a people. It is a memento to their History. It is a monument to the labour of our heroes past. From the economic, social and political capital of Ìjèsà land, Ilésà City, to all the 142 towns and villages in Ijesha kingdom; from several big cities and several states across Nigeria; across the countries of Africa, nay the world, the name represents a lot of things. It represents achievement, glory, history, heritage, pride, joy, amour-propre, happiness and yet still, the labour of our heroes past. The mere mention of that name stirs up strong feelings. It rakes up an overflow of emotions. It creates seamless sentiments. It unhinders the flowing stream of nostalgia. It undams a deluge of joy. It engenders a special genre of invigorating delirium. It arouses ecstasy. It spurs memories. Memories that are priceless. Yes indeed, memories are priceless. Memories are inestimable. Memories are irreplaceable. They are invaluable and incalculable. No amount of money could buy them. No amount of wealth could recreate them. The richness of memories is incomparable, inimitable and matchless. Those who comprehend the importance and value of memories, preserve and cherish them. They use it as a springboard to higher feats and accomplishments. It is an apron to a beautiful past and wonderful future that could still be "writ in gold." Ilesa Grammar School, Ilesa, the labour of our heroes past became a victim of political chicanery and charlatanism. It became a tool in the hands of political merchants who invaded our land like furious locusts, destroying those things, they could not eat up. They, without mercy and any iota of consideration, did everything to disconnect us from our heritage and destroy our history. The current regime in Osun State is an offshoot of that of former Governor Rauf Aregbesola that decimated and destroyed our Ilesa Grammar School. The Alumni Association has a brief in Court to reverse the heinous decision and bring a new lease of life to this great heritage of ours and revitalize the labour of our heroes past. The brief is being handled by one of the alumni of the great School, Chief Wole Olanipekun, SAN. The products of this school include Justice Kayode Eso (JSC), Justice Yinka Ayoola (JSC), Justice A.M.A. Belgore (JSC), Chief Philip Umeadi (SAN), Chief Babatunde Ibironke (SAN), Dr. Festus Adebisi Ajayi (SAN), Chief Bamidele Aiku (SAN), Jon Tunde Majiyagbe (SAN), Chief Wole Olanipekun (SAN), Justice (Mrs.) Oyebisi Omolayo, Justice Olatunde Oluborode. Amb. (Prince) Adedokun Hastrup, Alhaji Lateef Kayode Jakande, Chief (Dr.) Wahab Iyanda Folawiyo, Chief (Dr.) Sonny Idabacha Odogwu, Pastor Enoch Adejare Adeboye (RCCG), Chief Olatunji Olatunbosun, Chief Banjo Fasuyi, Chief Oyekunle Oluwasanmi, Chief Olatunde Olojo, Dr. Oladimeji Alo. Others include Prof. 'Sade Orangun, Prof. Iyiola Jegede, Prof. Oyewusi Ibidapo - Obe, Prof. Ayo Makanjuola, Prof. Dipo Tejumola, Prof. Leke Ajayi, Prof. Timothy Rotimi Tayo, Prof. Ajiboye Ajagbe, Prof. Abiodun Olowe, Prof. Foluso Okunmadewa, Prof. Banji Ayoola, Prof. Ore Ashaolu, Prof. Femi Odekunle, Prof. Idowu Olayinka, Prof. Wale Omole. Engr. Olateju Oyeleye, Engr. Olu Olowookere, Engr. Omotunde Adeyemi, Engr. Obafemi Ibironke, Engr. (Dr.) Okunola Ajayi-Obe, Engr. S.O. Fadare, Dr. Oluwole Onawumi, Dr. Wale Bolorunduro, Rev. Cannon Godwin Daramola, Navy Commander Oluseyi, Lt. Col. Olufemi Olafadunsi, Sir Obì Daramola. There were famous names like Mr. Ayodeji Oni, Mr. Joe Abiola, Mr. Jide Abiola, Loja Pariola, Mr. Tony Kayode Adejuyigbe, Mr. Johnson Olowookere, Mr. Akin Ajayi-Obe, Mr. Olusola Joshua, Mr. Sina Olokode, Mr. Olabode Opeseitan, Mr. Bayo Olarewaju-Alo, Deaconness Temilade Oluwajumiwo (nee Atayero), Mr. Ademola Taylor and a host of distinguished others too numerous to mention, all spread across the planet Earth. Ilesa Grammar School must be saved, in the words of late Kenyan leader Jomo Kenyatta, "...for perpetuation of communion with ancestral spirits ..... and in the firm faith that the dead, the living, and the unborn will unite to rebuild the destroyed shrines." Ilesa Grammar School, Ilesa, our own heritage, may the labour of our heroes past never be in vain that our future might be guaranteed. Amen. Disclaimer: "The views/contents expressed in this article are the sole responsibility of Remi Oyeyemi and do not necessarily reflect those of The Nigerian Voice. The Nigerian Voice will not be responsible or liable for any inaccurate or incorrect statements contained in this article."